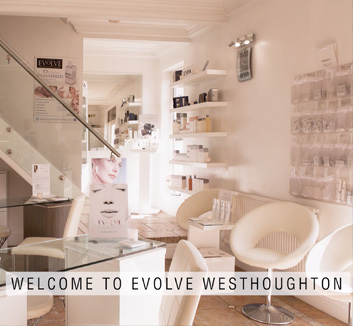 Welcome to Evolve Skin Clinic, Bolton’s local luxury beauty spa and clinic, with over 25 years experience offering specialist beauty treatments for both men and women. We offer a variety of services at our two different locations, covering all of your beauty and skincare needs. We have a team of fully qualified therapists, and pride ourselves on providing only the best service to our customers. Our team are always on hand to offer their expert advice on our range of treatments and products, should you have any queries about what best suits your needs. Our team of Harley Street trained Advanced Paramedical Skin Practitioners are passionate about the world of beauty and aesthetics, and strive to provide the best and latest treatments in the industry. 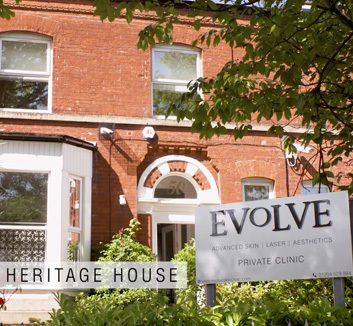 At our Heaton based clinic, we offer many advanced cosmetic procedures and solutions to tackle a range of skin concerns such as acne, pigmentation and rosacea, and Electrolysis for laser hair removal. Some of our most popular treatments include Dermal Fillers, PLEXR Treatments, Anti-Wrinkle solutions and Colonic Hydrotherapy. Pamper yourself with some of our everyday beauty treatments at our Westhoughton based clinic, with everything from CND Shellac manicures, 3D lash extensions, LVL Lash Lifts and St Tropez tans. We can help you achieve perfectly defined eyebrows with celebrity-loved HD Brows, and remove unwanted facial/body hair fast & effectively with our range of waxing treatments. We have a full team of highly skilled ESPA professionals at the clinic, offering an advanced range of luxury facials, massages and body treatments for both men and women, to give your body the TLC it deserves. Our Westhoughton clinic also offers the non-invasive Venus Freeze treatment, to treat wrinkles, rhytides, reduce cellulite and tighten skin without the need for surgery. © Evolve Skin Clinic. All rights reserved.